TRIBUNNERS - Minister of National Development Planning / Head of Bappenas, Bambang PS Brodjonegoro said that in the 2019 RKP the government proclaims 5 National Priorities outlined in 24 Priority Programs. The five National Priorities include: (1) Human Development through Poverty Reduction and Improvement of Basic Services; (2) Reduction of Intergovernmental Gap through Strengthening Connectivity and Marginism; (3) Strengthening of Value Added Economy and Employment Creation through Agriculture, Industry, Tourism and other Productive Services; (4) Consolidation of Food Security, and Water Resources; and (5) National Security Stability and Electoral Success. The national priority of reducing the gap between regions through the strengthening of connectivity and maritime, the government, said Bambang, prioritizes five Priority Programs. The five programs are: Improved Connectivity and Information and Communication Technology (ICT); Accelerated Development of Papua and West Papua; Accelerated Development of Disadvantaged Areas and Villages; Disaster Management; and Improved Logistics System. The five priority programs, according to Bambang, are efforts to address several strategic issues in the aspect of reducing regional disparities through strengthening connectivity and maritime such as the uneven distribution of national connectivity and logistics networks in supporting the leading sectors; high logistics prices in areas with limited accessibility such as Papua and West Papua; to the inadequate facilities and infrastructure of agricultural and fishery logistics systems. According to Minister Bambang, who is also known as a development economist, for the Priority Program for the Acceleration of Development of Papua and West Papua, the priority activities to be undertaken include improving access and quality of health services, as well as improving access and quality of Papua contextual education services. 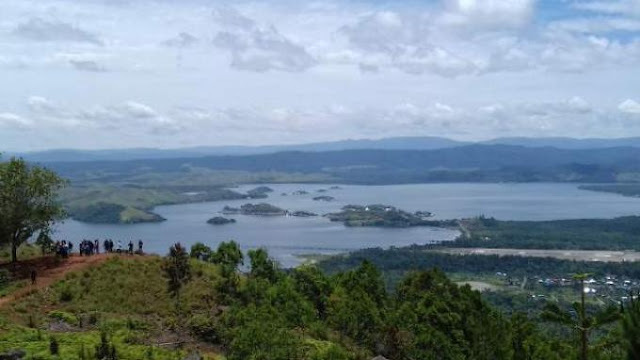 "The other three priority activities are the development of leading commodities and upstream downstream tourism, improvements in basic infrastructure, ICT and connectivity between provinces, districts, districts and kampongs, and improvements in governance and institutions," said Minister Bambang. Minister Bambang further explained, in the 2019 RKP, the government set macro target of development in 2019, among others, targeting economic growth of 5.4-5.8 percent; poverty rates 8.5-9.5 percent; gini ratio 0.38-0.39; Human Development Index (HDI) 71.89; and open unemployment rate from 4.8 to 5.2 percent. According to Bambang, the year 2019 is the last year of the implementation of RPJMN 2015-2019. RKP 2019 focuses on optimizing the utilization of all resources (government, private, banking), to pursue the achievement of national development goals and targets in the RPJMN 2015-2019. Previously, on April 30, 2018, the Ministry of PPN / Bappenas held the Musrenbangnas RKP 2019. The event was opened by the President of the Republic of Indonesia Joko Widodo and attended by Vice President Jusuf Kalla, as well as leaders of the State Institutions, Ministers and Heads of Non-Ministry Government Institutions, Governors, Regents / Mayors and other development stakeholders. Continuing the previous year, the policy of drafting the 2019 RKP on the theme of "Equitable Development for Quality Growth" continues to emphasize strengthening the implementation of the Money Follows Program principle through Thematic, Holistic, Integrative and Spatial (THIS) approach.